Tuesday, May 20-----Despite soggy weather and a rather unenthusiastic response to most films at the Cannes Film Festival, there are a number of deals to announce for European films that have found homes with U.S. distributors. The films, all screening in either the official sections of the Festival or in the Cannes Film Market, will all be released theatrically in the United States in the next few months. IFC Films has been among the busiest companies on the Croisette. The company has acquired a string of films, including North American rights to the latest film from French film auteur Olivier Assayas. 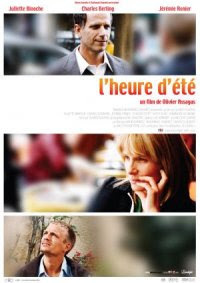 Summer Hours (L'Heure d'Ete), which stars Juliette Binoche, is the story of three 40-something siblings whose lives collide when their mother, an heiress, dies suddenly. The film is being represented in Cannes by MK2 International. IFC Films acquired back to back Palme d'Or winners, including Cristian Mungiu's 4 Months, 3 Weeks, 2 Days and Ken Loach's The Wind that Shakes the Barley. Last year, the company picked up 10 titles at Cannes, including Gus Van Sant's Paranoid Park, which won the Prize of the 60th Cannes Film Festival. One of the few buzzed-about films is Waltz With Bashir, an animation epic by Israeli director Ari Folman. The film was co-produced by Arte France, with funding from a number of sources including the Medienboard Berlin-Brandenburg. The film, which mixes dream-like surrealism with the harsh reality of war, is being represented internationally by the German sales company The Match Factory, and has already been sold to Italy, Benleux, Spain, Greece and to Canada’s Seville Pictures. A U.S. deal is expected by later this week. Cloud 9 by German director Andreas Dresen has been sold to Mongrel Media for Canadian distribution and is in negotiations for a deal in the United States. The film has already been sold to various European countries, including Cooperative Nouveau Cinema for Benelux, Filmcoopi for Swizerland, Seven One for Greece, with pending sales for France and Spain. The film had its final screening today at the Marche du Film. Liberation Entertainment, a new U.S. distribution company launched by media entrepreneur Jay Boberg, acquired the North American rights to Tokyo, which had its world premiere at Cannes. The film reflects city life in Tokyo through three narratives by three directors, including the French directors Michel Gondry and Leos Carax (the third is Bong Joon-ho). The company plans a theatrical release for the film later this year. Strand Releasing has acquired all U.S. distribution rights to How About You, a UK/Ireland co-production directed by Anthony Byrne. The film is the story of a young girl left in charge of a residential home over Christmas and is based on the short story by Irish author Maeve Binchy. The film stars an impressive cast of film veterans, including Vanessa Redgrave, Imelda Staunton and Brenda Fricker. How About You is a co-production between Ireland’s Ferndale Films and the UK’s Sarah Radclyffe Productions, and is represented by London based international sales agency and financing company Bankside Films. Strand plans to release the film theatrically this September. Expect more deals later this week as the Cannes Film Festival moves into its final days.